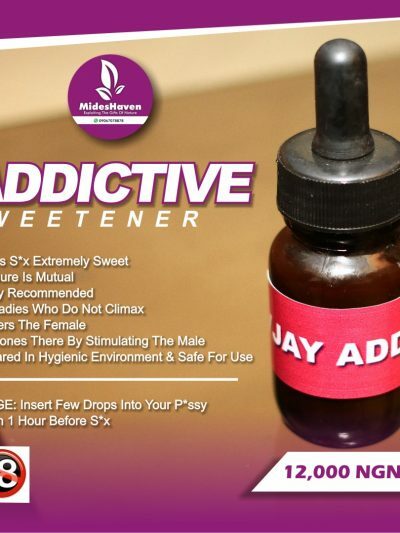 This sweetener is mainly for those whom their hubby’s like to lick plate 👅, it’s a oral sweetener that makes you and your man have the best of each other in bed . 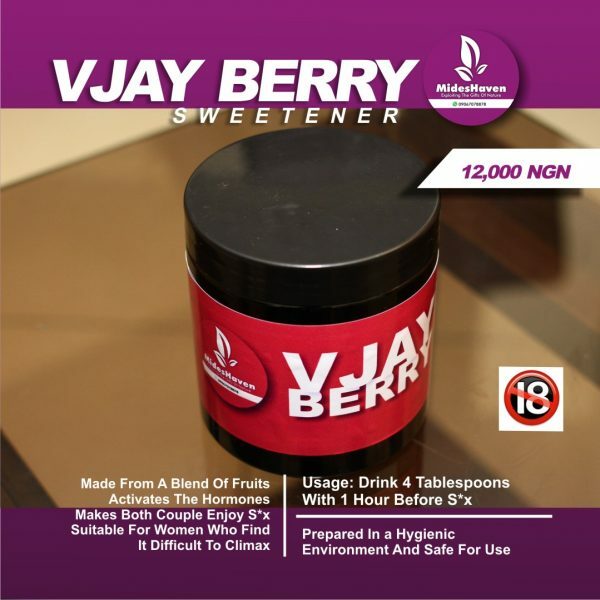 vjay berry is rich in non-essential amino acid, which relaxes and dilates blood vessels. This results in increased blood flow, blood vessel relaxation, sexual pleasure for both couple.